We, at Indian Ion Exchange & Chemicals Ltd., take pride in our fully automated bottling machine. This machine is specially developed to provide the user with up to 1800 bottles per hour. 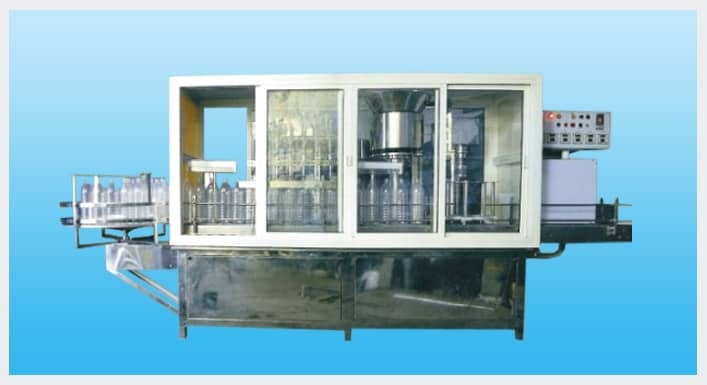 The minimum production rate provided by this machine is that of 300 bottles per hour. Our water plant machinery has a length of 30â€³ and the width passage of the machine is that of 6â€³. The height is that of 14â€³ which makes it a convenient equipment to use. The temperature that is generated by the machine ranges between 70 to 250. It is prepared with high quality material of PVC. Also, there is some bottled water machine that prepared by using the material of LDPE. The power load capacity of the machine is that of 6 KV. There are two kinds of motors fitted in the machine. The motor for fan requires 0.25 HP/I phase and that of the conveyor requires phase of 05 HP/1440 RPM/III. We have designed our produce in such a manner that it is absolutely easy to use. The cost involved in the maintenance of bottling plant machinery is very low and practically negligible. The power consumption of this product is very low. We have fitted high efficiency heater in the product to provide you with a better result. Also, our bottle filling machine has temperature controller installed. The conveyor speed is kept such that optimizes the aspect of production to provide you with the best result. Also, we have made sure that the product has suitable films for PVC, as well as, LDPE. Well, we do not claim to be the best in the market. We leave for you to decide. 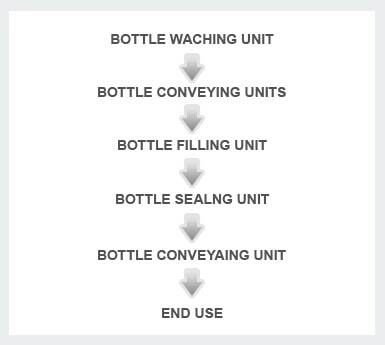 You will find that our bottling plant equipment provides you with impeccable service. This is because we have designed them with our years of experience and skill. Moreover, we always make sure to use the state-of-art technology to provide you with the best.